Home > Go Kart Parts > Go Kart Tools and Starters > Go Kart Tools > Gear Chart for 35 Ratio, Lazer Etched Alum. Gear Chart for 35 Ratio, Lazer Etched Alum. 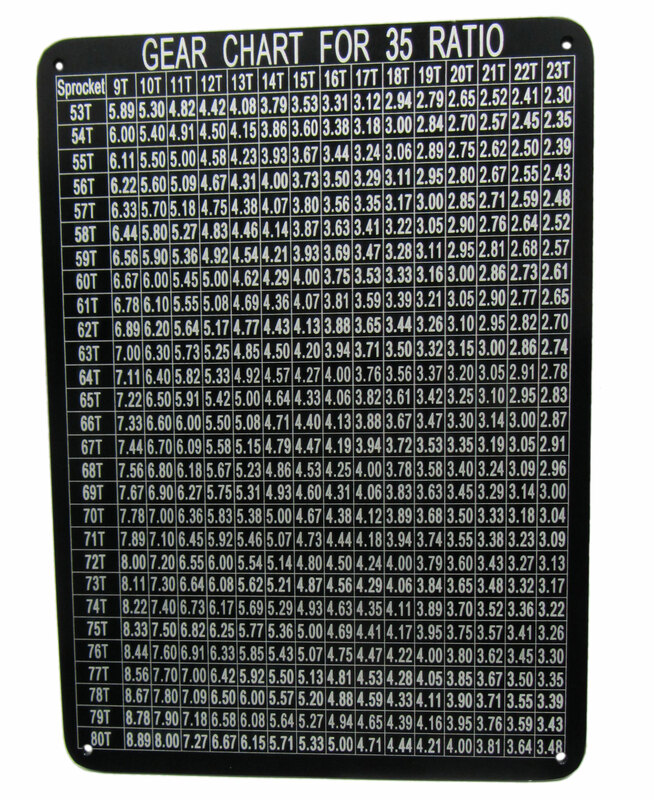 This lazer etched black anodized aluminum gear chart is the perfect addition to any kart shop. It measures 8-1/2" x 11-3/4" x 5/16". Grip Stickers - 16", 21", or 26"